No Collection Too Large or Too Small. A Fair and Reputable Dealer for Over 35 Years. Blue Ridge Knives, Inc. has been a fair and reputable dealer for over 35 years. We have a modern 96,000 square foot facility located in Marion, VA. We attend most of the major knife shows across the country. While many dealers limit themselves to specific interests, Blue Ridge Knives specializes in all types of knives. We will make you a fast and fair offer with immediate payment. Send an email or letter in regard to knives you wish to sell. We prefer to have an itemized list with brief description and condition of each knife. Please include pictures if possible, as this will aid us in evaluating your collection. Knives may be pictured individually or in group shots. Please include your name, phone number, and address in your letter or email. You may call for an appointment if you would like to bring your knives to our facility in Marion, VA.
We are available for travel and will be happy to come to your home or business to look at your knives if the value of the collection warrants it. We work on a small profit margin so this service can only be provided on large collections. If you are unable to make a list or send pictures, you may ship your knives to us with confidence. We will call you the day we receive your knives with a fair offer. We will return your knives and pay the return shipping charges if an agreement is not reached. When taking pictures of knives try to avoid reflection on the blades. The best way to avoid this common problem is to have something white (poster board) for the knife blades to reflect. Also, use a tripod if available. For more information, take a look at this article from Mark D. Zalesky at Knife World. The article goes into great detail on how to avoid common problems. You probably will not have to go to those extremes, but it should help you. No collection is too large or too small for us to purchase. We will buy one knife or entire collections. 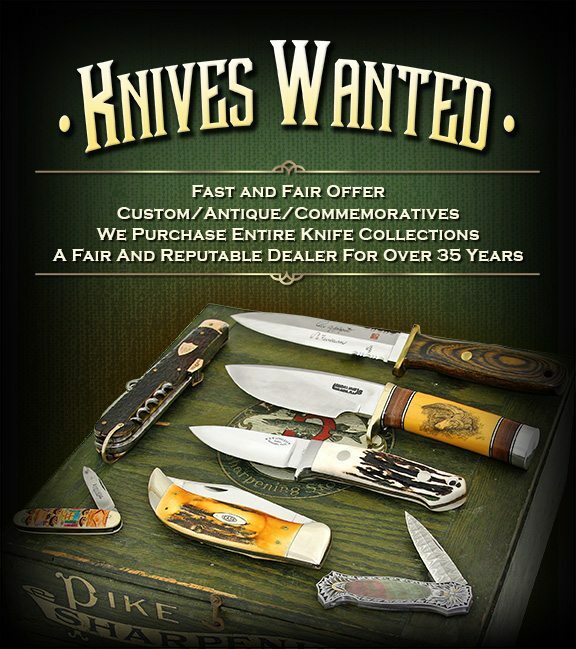 We are interested in antique pocket knives, hunting knives, custom handmade knives, antique Bowie knives, factory knives, commemorative knives, military knives and cutlery related advertising items. 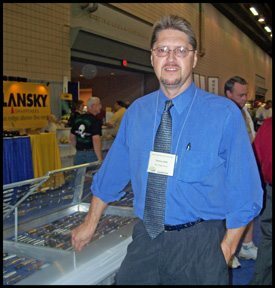 My name is Tommy Clark and I have been the collection buyer for Blue Ridge Knives, Inc. for the past 35 years. I was raised on a farm in east Tennessee and developed a love for knives at the age of eight. I would take the money I made working in hay and tobacco and buy knives at the local flea markets and gun shows. I was literally hooked on knives and was setting up and selling knives at these same shows and markets throughout my teenage years. In 1981, I was able to turn passion into profession when offered a job by Phil Martin who is the owner of Blue Ridge Knives, Inc. I feel truly blessed as I have been allowed to spend the past 35 years traveling the world and dealing with all types of collector knives. I have found knife collectors and enthusiasts to be among the finest people on earth and am honored to be a part of the industry. I was appointed to the National Knife Museums Operating Committee upon it’s reopening in Sevierville, Tennessee and served on the Curator’s panel for Authentication, Evaluations, and Appraisals. I currently serve as the antique knife appraiser at the Oregon Knife Collectors show held in Eugene, OR. each April. I have been approached by several of the leading auction companies seeking to add me to their staff, however politely declined. I have never been a fan of auctions as too much is left to chance. My philosophy on auctions is simple, why should someone be allowed to make money on you if they are not willing to invest any of their own money.